The rise of modern sport in the mid-nineteenth century coincided with the emergence of photography as a new image-making medium, and both practices developed in parallel. Although early technological limitations restricted the possibilities for capturing sporting action, many early photographers nonetheless embraced sport as a powerful subject for their work, a trend that has continued throughout history. Photography and Sport traces the close relationship between photography and sport, from its beginnings to the present day. 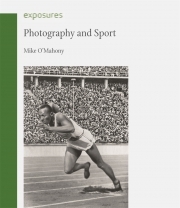 Taking a unique thematic approach, Mike O’Mahony describes the early sporting images, the impact of technological developments on sports photography, and the establishment of new visual conventions for the representation of sport in the popular illustrated journals of the late nineteenth and early twentieth centuries. He examines the use of images of sport for commercial and advertising purposes, the gender politics of sporting practices, and the photographic representation of both the sports spectator and of non-professional sport, exploring their impact on wider socio-political issues along the way. 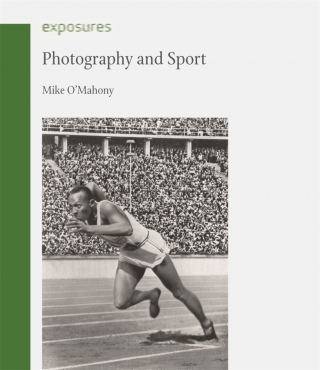 Featuring some of the most signiﬁcant sports photography of the last 150 years, this in-depth history will appeal to cultural historians, sports fans and all those with an interest in the history of sport or photography. Mike O’Mahony is Professor of History of Art and Visual Culture at the University of Bristol. He is the author of Sport in the USSR (2006), Sergei Eisenstein (2008) and Olympic Visions (2012), all published by Reaktion Books.